Build My Own Computer! Thinking of Building Your Own PC? 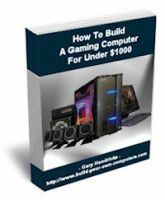 If I can build my own computer, you also can build your own PC if you follow the step-by-step tutorials here. To get started, let watch a video on motherboard layouts as well as how to install the PC components.